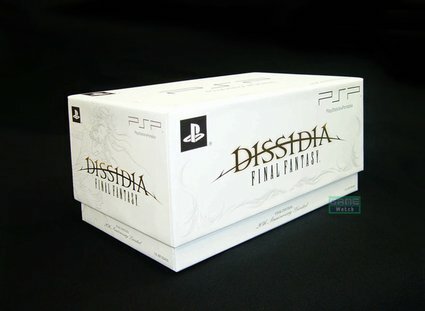 Much to the chagrin of English speaking Final Fantasy fans, the very Limited Edition Dissidia PSP Bundle never made it out of Japan. Final Fantasy fans gobbled the prized bundles like clock work and everyone else is left to wonder if we’ll be able to get our hands on one. Turns out that there’s something in for patient fans like us. a 2 gigabyte Memory Stick Pro Duo. Below is a comparison of the Japan and US Bundle boxes. Tell me which is better. Feeling a bit of favoritism? You bet. Now if they’ll be willing to switch the original Advent Children movie to Advent Children Complete then it’s a sweet deal. 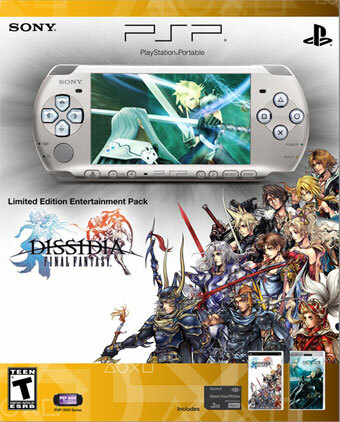 Future PSP-3000 owners will get it for $199.99 USD when it ships on August 25th. Umm thanks, you do know that this blog is nofollow at the comments right?